A few weekends ago, I flew back to my hometown to throw a baby shower for one of my best friends. Bri is currently pregnant with her first baby, a little girl. We’ve been close since we were children and I am so happy to have maintained that closeness with her to this day. 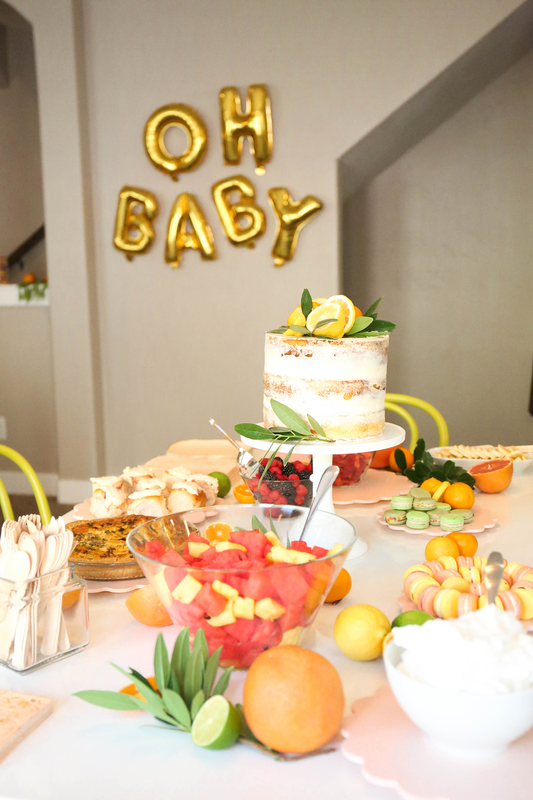 She loves my girls as if they were her own and we were so excited to put a little celebration together to celebrate the almost-arrival of her baby girl! 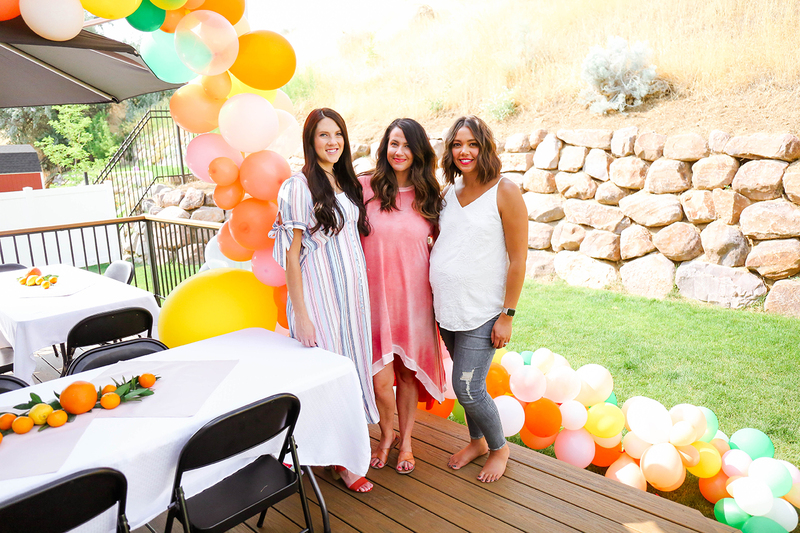 I partnered up with our other bestie, Haley (who is also pregnant! with #2! ), and we got to planning. 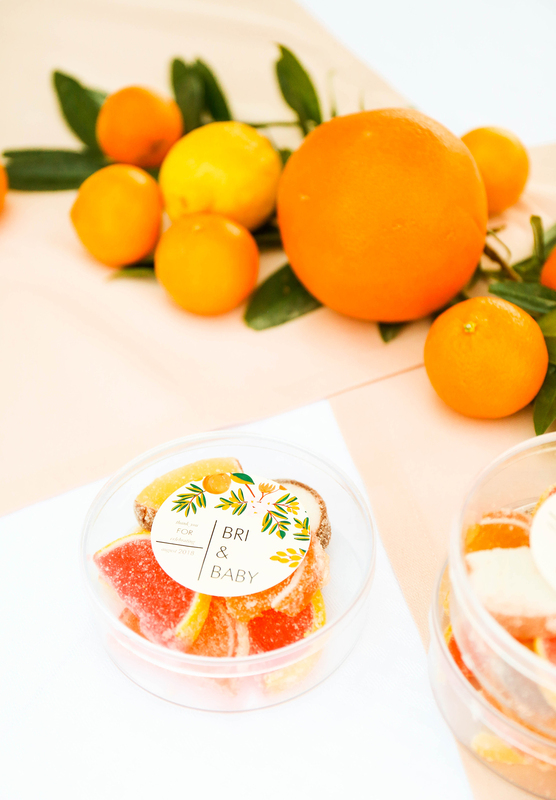 It was a simple and sweet morning and I thought I’d share the details of this citrus-themed baby shower and how we pulled it off. While we were planning from separate states! 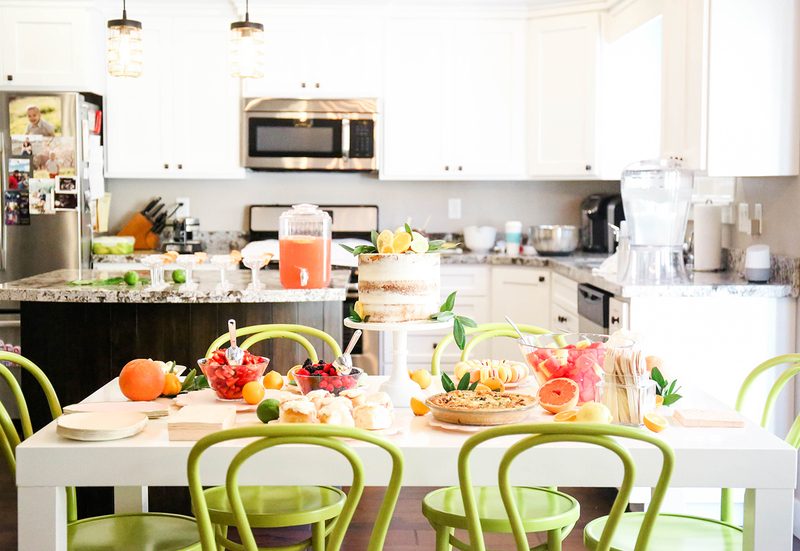 There’s probably a tip or twelve in here for when it comes to throwing your own baby shower for a pal! We are in the day and age of digital invitations. I’m a sucker for paper invites myself, but it seems that people prefer the e-version of this stuff! 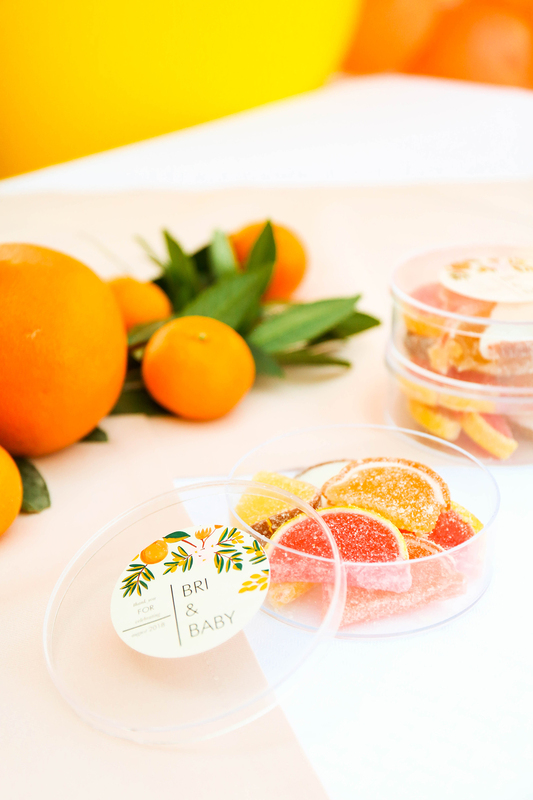 We scoured Paperless Post for the prettiest invite we could find and settled on this citrus-y gem by Rifle Paper Co.! 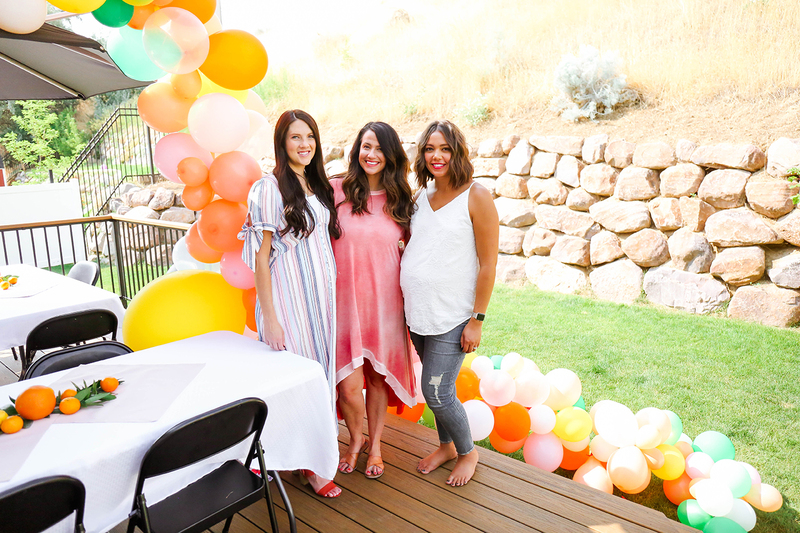 The color story seemed to match Bri’s personality as well as the palette she’s chosen to decorate baby girl’s nursery with. So it fit! 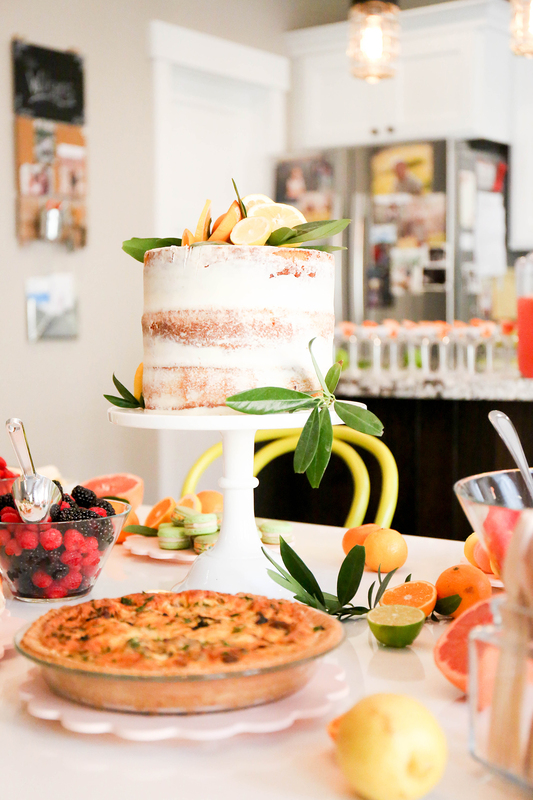 We decided to follow suit and just go all out with citrus at the party. What’s a party without the cake? 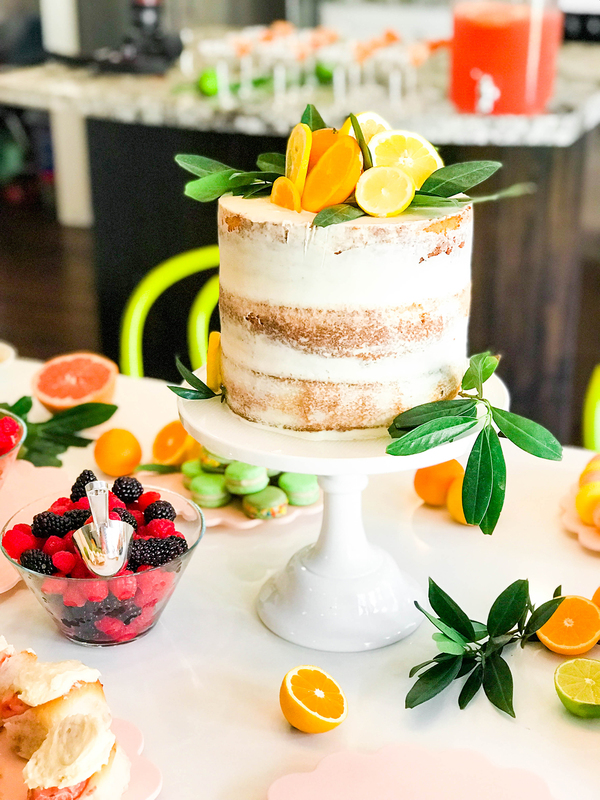 We decided to go with a simple naked cake decorated with some lemons, clementines, and some greens cut from my parents’ backyard. (Ya gotta work with what ya got, right?!) 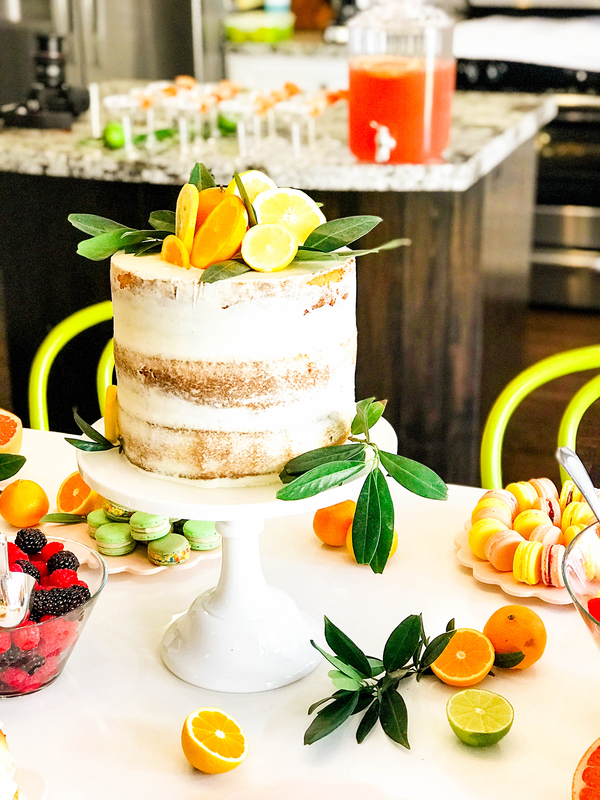 The cutest girl ever, Whitney from The Blonde Who Bakes, whipped up this yummy cake – complete with fruity pebbles frosting in the middle – and it was sooooo yummy. There was cake leftover and maybe I had it for dinner. 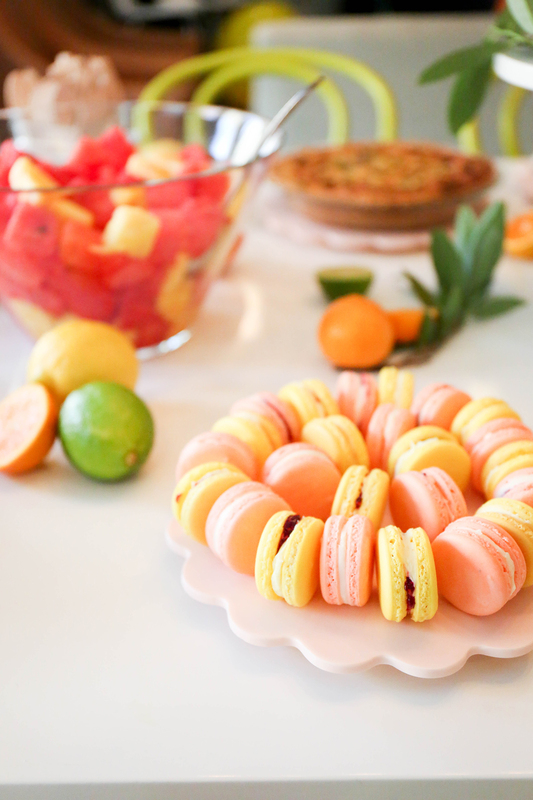 She even threw in an assortment of macarons so we were extra fancy. If you are in Utah, GET CAKE FROM HER. Get treats from her. Just do it. She also teaches a few classes and I wish I was in Utah more so that I could attend one! You can see her schedule over here on her site! 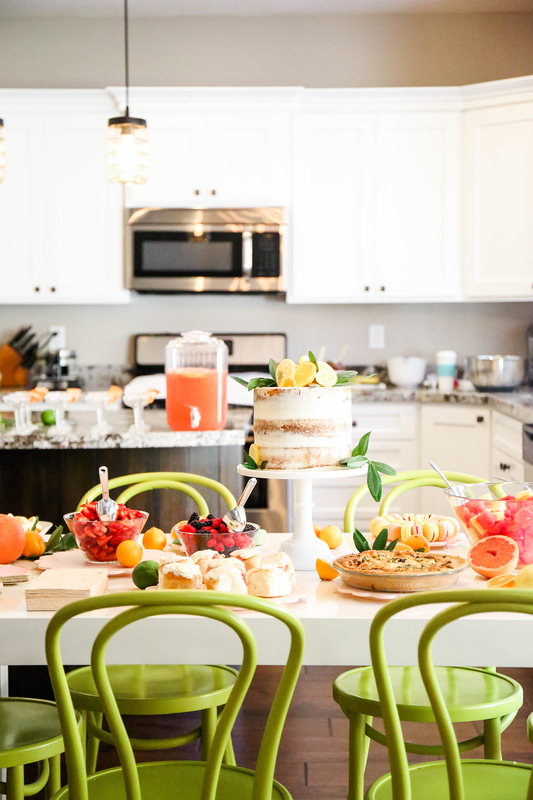 We did a brunch-style shower that started mid-morning. 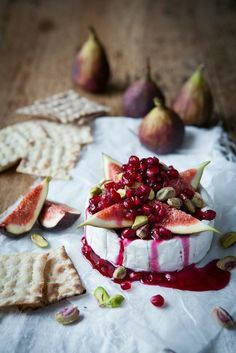 And to make things easier for Haley and myself, we each made a dish and then purchased a smorgasbord of yummy cakes and rolls. I made a breakfast quiche (you can find the recipe over here!) and Hay made this yummy casserole that was devoured right quick. 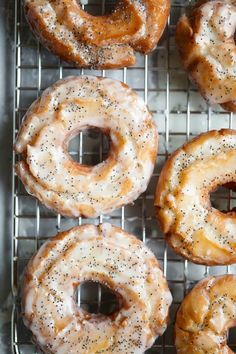 Breakfast food is really the best food, amiright??? 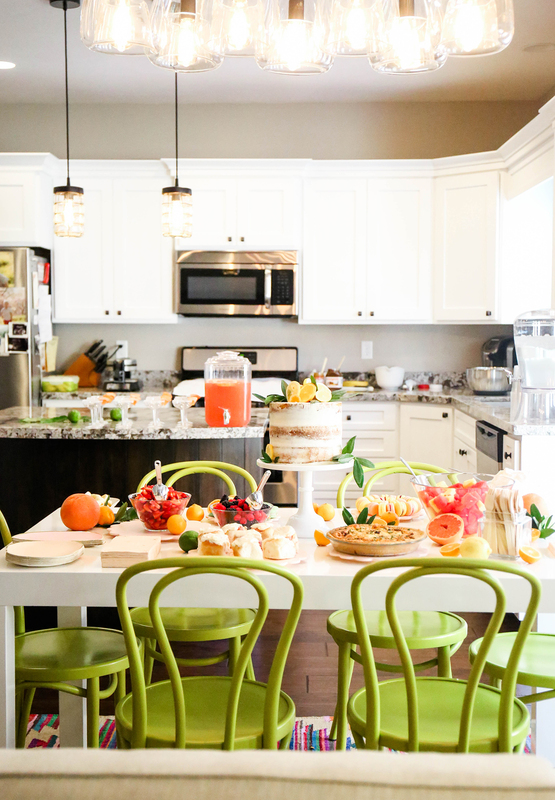 Bowls of fruit lined the table and we just tossed some assorted citrus and greens around everything to easily decorate. 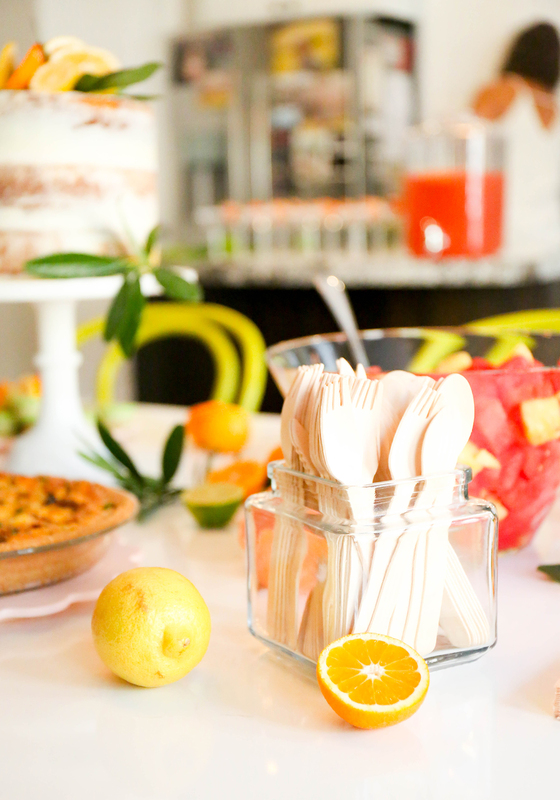 I snagged an assortment of cute starburst napkins, peach plates and pink plates, and scalloped serveware from Sugar & Cloth’s shop and they were perfect with everything. The right color of peach, ya know? Macs. Macs. Macs. Macs. Macs. 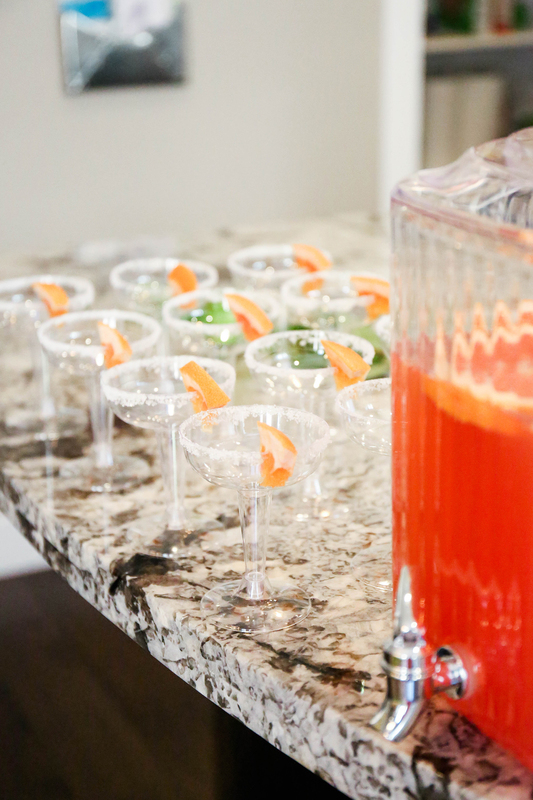 The shower was in Utah and the majority of guests weren’t drinking alcohol. 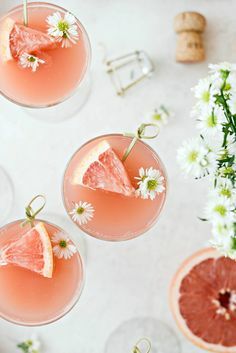 We wanted everyone to be able to toast Bri & Baby Girl so we made a yummy sparkling grapefruit mocktail! We even sugared the rims of the glasses because we were a little extra that morning. 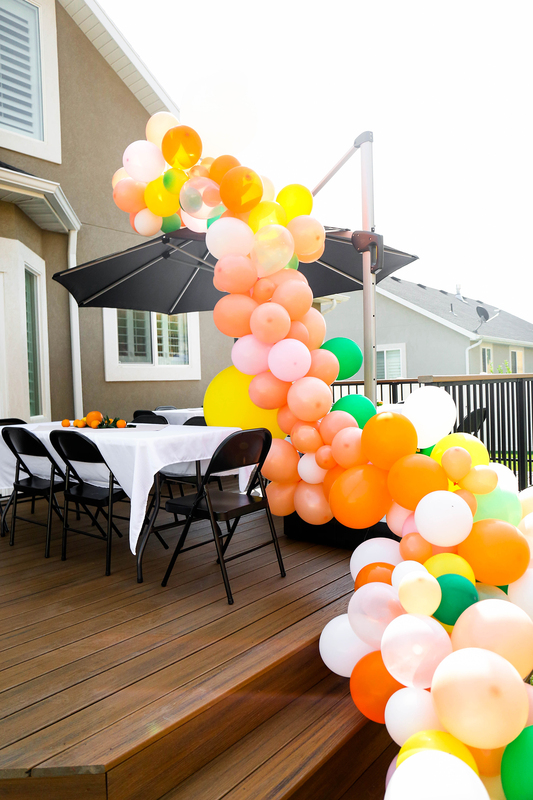 There were a few large balloons left over after making the giant balloon arch and we just left those floating and hanging around the house. Some friends brought their kids and they had a ball throwing the balloons back and forth. The night before the party, we stayed up blowing up balloons and assembling the arch. I hadn’t put one together that was this large before, but it totally came together the way we wanted. And after a few minutes of assembling, it was easy to figure out how to do it. Huge thanks to Bri, Haley, and Haley’s husband, Kyler, for letting me boss them around as we assembled and styled this thing! 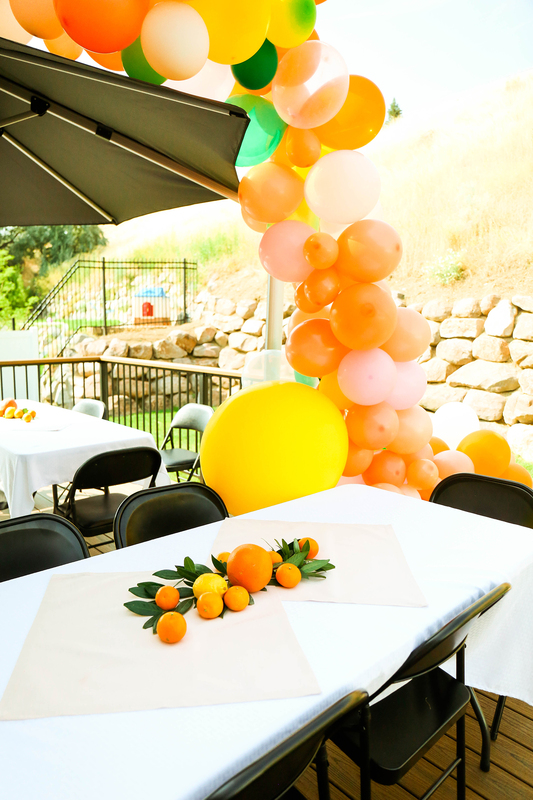 To keep the tables simple, we covered them with tablecloths and placed large peach napkins in the center. 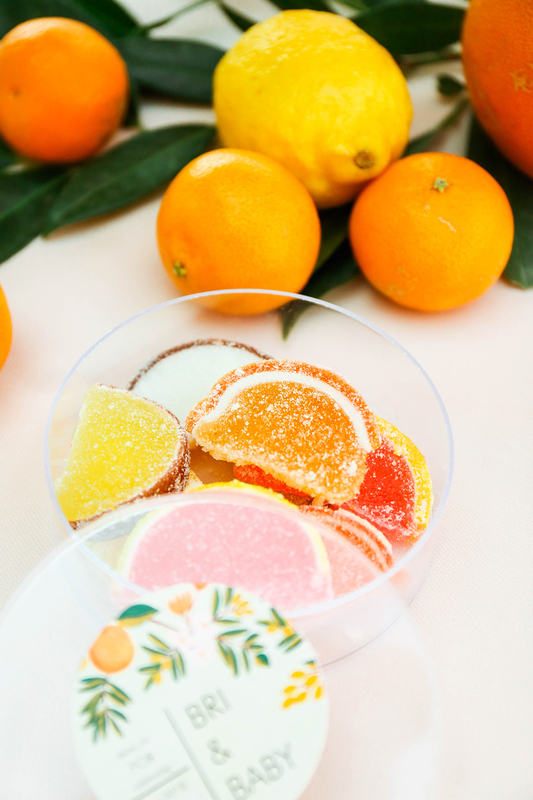 Picked up some more assorted citrus from the local grocer and just tossed ’em on the table! They came together in all of five minutes. 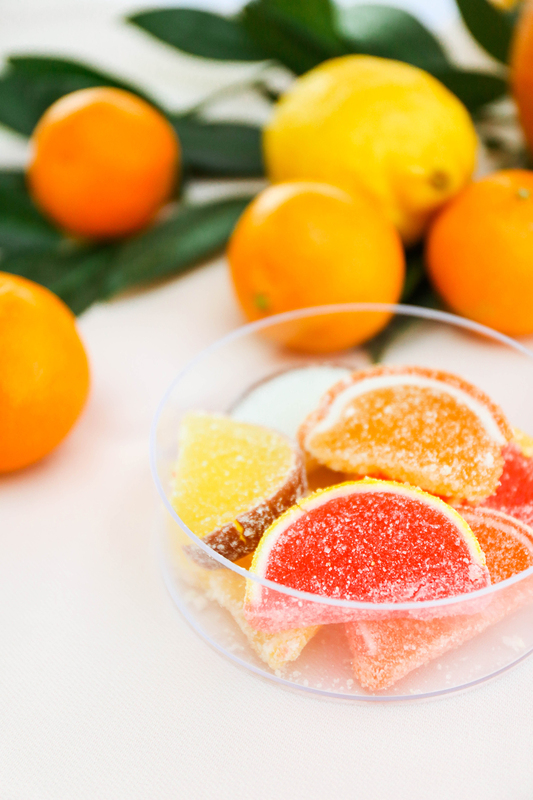 We sent friends home with little plastic jars filled with gummy citrus that I picked up at a candy store in town. 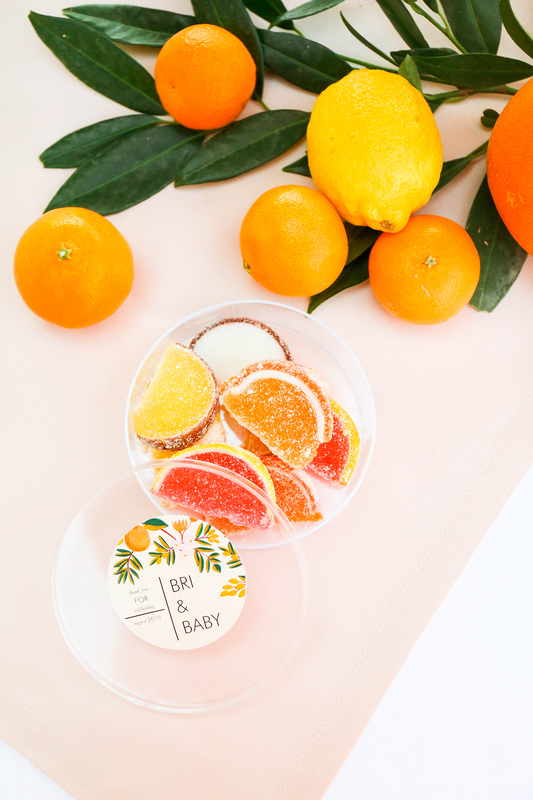 In addition to regular faves like grapefruit, orange, and lemon, we snagged some coconut, pineapple, and chili mango flavors! I used some of the artwork from a picture of the invite to create matching stickers and just used the same font to add text so it all matched. 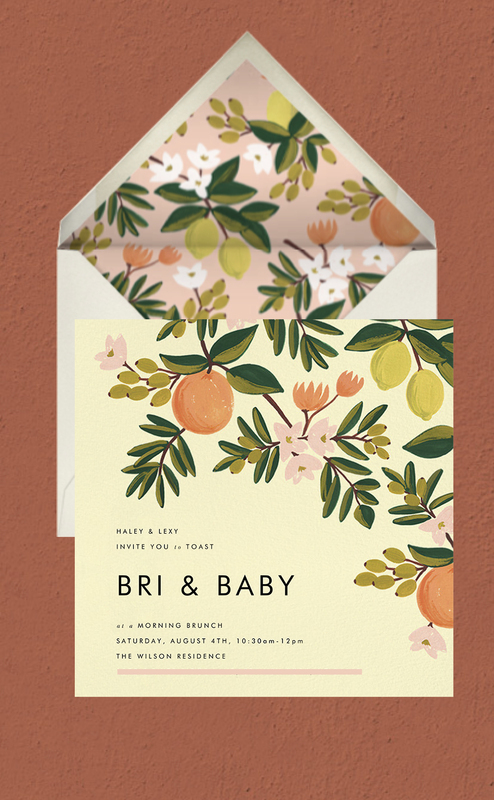 I would have loved to have an entire printable collection from the invitation suite, and if/when Paperless Post rolls that option out, I’ll be the first in line! 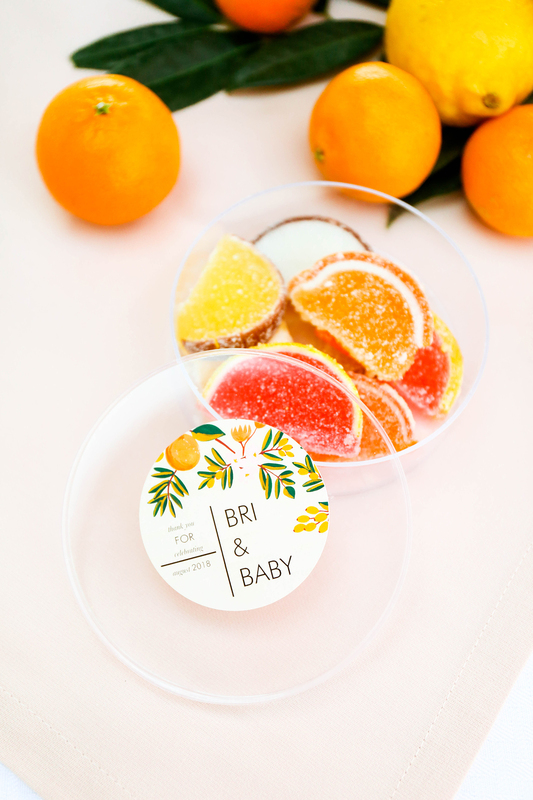 It was such a fun morning celebrating Bri with this citrus-themed baby shower and seeing those who love her celebrate with her! But I’d have to say my favorite part of the whole thing was just spending time with these two! I don’t see them enough so the conversations that happen late night when blowing up balloons? It’s all priceless! These two are the cutest pregnant women and I can’t wait for their babies to get here! Yay! Did I overdo it on the birds? I do not think so. That cake is gorgeous. And the three of you are too!